Microsoft OneDrive gives you quick access to your files from all your devices. 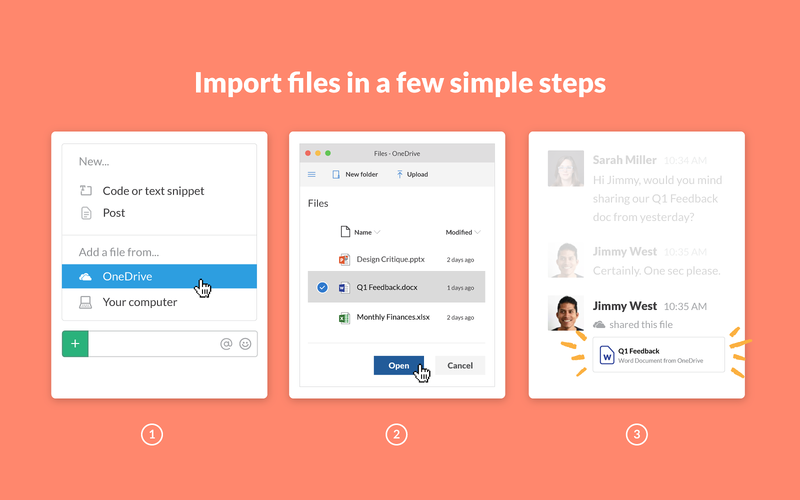 Install this integration to import OneDrive and SharePoint files directly from Slack.• Import a OneDrive file by pasting a link or selecting a file from the + plus icon to the left of the message field. 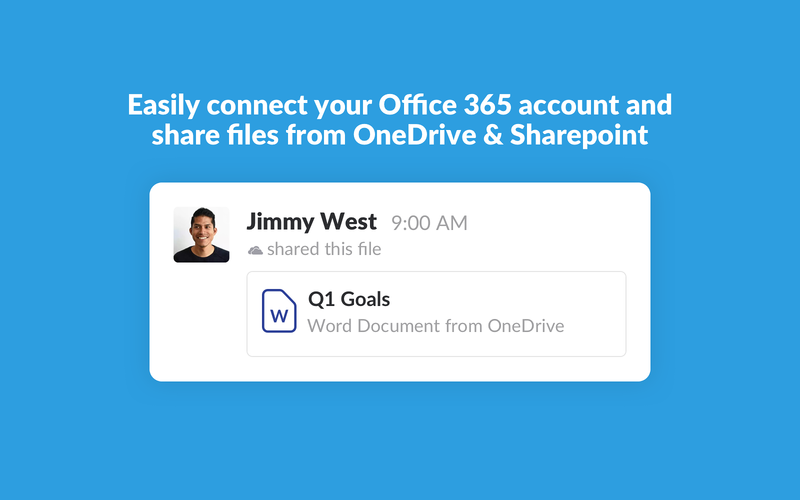 • Imported files stay in your OneDrive account, but will be searchable and shareable in Slack. 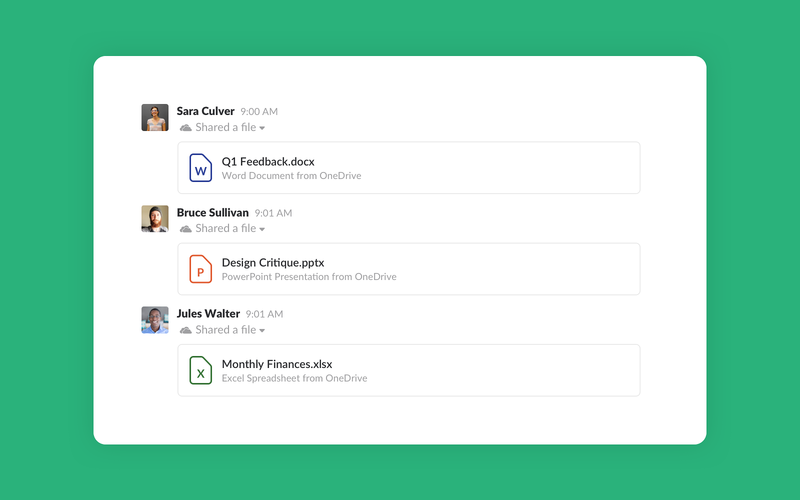 • Files in OneDrive and SharePoint stay in sync — whenever you re-share the file, Slack will check for changes.